I have to agree with the outstanding reviews of the novel. 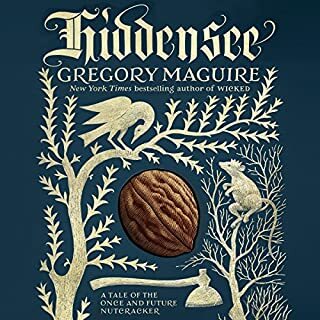 For those who didn't receive closure in this book, it's very important to understand that not everything has closure and that's what I appreciate about Gregory Maguire's Wicked novels. They always leave me wanting more of the story (which for me seems like a very smart thing to do from an author's stand point). 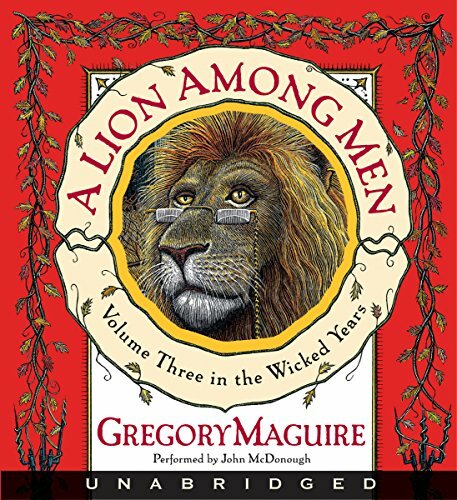 This book is from another viewpoint of a character from Baum's original creation of characters. He opens another world for us as insight on a more feasible less childlike version of the original with "real" problems and "real" characters. Further, I love that John McDonough is narrating this 3rd installment. He narrated the Wicked and it was fantastic. 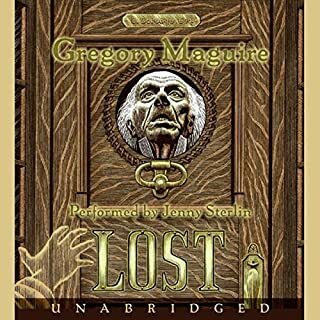 Son of a Witch was narrated by Gregory Maguire himself, and while I think this was a great novelty, I much prefer the development that McDonough has put into the characters. I would recommend this book to anyone who has a love for Wicked or it's predecessors. 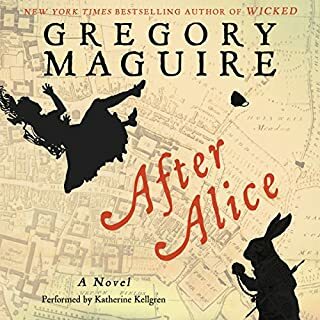 This is the third book in the "Wicked Cycle" series by Gregory Maguire, and it is fantastic. 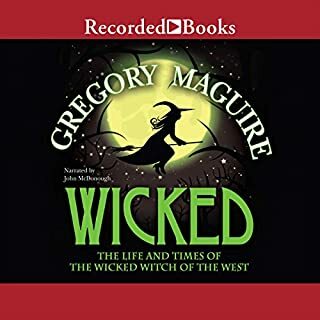 The story is entertaining and the narrator (also narrated Wicked) does an excellent job. It's funny, but for such simply told stories (in many ways) ...the depth of detail accumulates very quietly. The story is BIG and it is ushered forwards from a different characters perspective in each book in the series. It's not simply a re-visiting of the neighborhood of a previously told story... it's a forwarding of a much bigger story. And before I knew it, ...the story had acquired a LOT of very rich details along the way. It's Elpheba's story, and Leer's too, and Ozma's ...and the Cumberland Witch's, ...and... Yackel, and Brrrrr.... , and.... Nor, ...and ...Shell, ...and... (Note: since this is all "audible" ...I really don't know how to spell these names correctly <lol>). Love this continuation of Wicked! Great story & narration-- but PLEASE -- NO MUSIC!!!! It's so distracting it really messes up the flow of the story. It is unnecessary and even disturbing. The story is great, well written, typical McGuire brilliance, nuance and humor. Narrator very very good! The music interspersed is the only downside to this audio book. Can't quite relate to the bad reviews. I was very touched by this story. I want to scratch him under the chin. I've read WICKED and this one and like this one just fine. The lion is endearing, pitiable, likable, sympathetic and finally heroic. 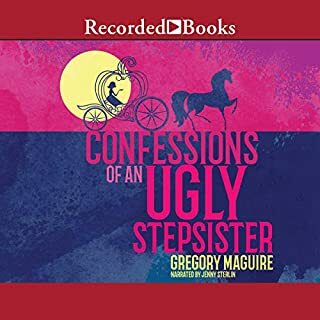 Gregory returns to his best form with this book. 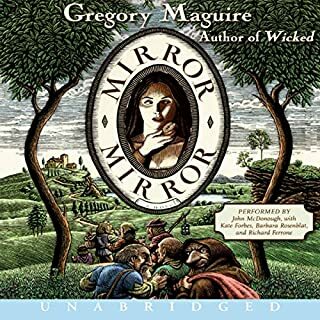 I enjoyed this book as much as the original volume Wicked. The characters are vivid, fully formed, and deep. The prose is some of his best. A must listen/read. The production of the book was only OK though. There are a few music interludes in the book of about 15 seconds each. I never did figure out why they were there and what they represented. There were several instances where the story broke off to start a new thread, these transitions were often abrupt and it was unclear that a scene transition occured. Other than that the story was well read and told. I just felt the editing of the story was a bit haphazard. OOOoh this book was so disappointing to me. I know it is about the "Cowardly Lion" but my god this thing is whiney and depressing. ALL the charecters in this book are completely self-absorbed and "whoa is me". It doesnt do "Wicked" justice at all. The third book and a series. Though it is based on the Lion's story many other character lines are continued. A very good read. I found it hard to follow in parts but a great good in the series rewarding the loyal fan of the series. I thoroughly enjoy this whole series, however the only thing I still don't get is the random music interludes? In Son of a Witch they were used to symbolize going back in time, however they started using this technique at random times which didn't make sense to me. Other than that, though, I enjoyed it. The 3rd book in the Wicked years series. Lion among men is an interesting story about espionage and the moral obligations thrust onto someone with little choice. The lion Brrr is on a constant search for who he is while the denizens of OZ are defining that for him. Alone in the world, his story is quite sad (not unlike every character in this series). He finds himself in court and on parole on the proviso that he gains information on the whereabouts of the Grimmerie. This leads him to interview Yackle while the war between Munchkinland and the Emerald City rages. Despite the book not being as action packed, it picks up at the end when everything starts coming together. I really enjoyed the last few chapters the most. The first part of the book was a mish mash of historic interviews from the lion and mother Yackle. I'm glad I got through this one, now I can start the final novel!